The first critical and complete edition of Charles Wesley's manuscript journal in two volumes. These volumes of Charles Wesley's manuscript journal are the first complete edition. Included are all transcribed shorthand passages, words that Charles underlined, other forms of emphasis or peculiarities in Charles's script, words that Charles struck out. Any uncertain reading or transcription is indicated in the footnotes. In addition there is an annotated index of persons, places, and sermon texts in Volume II. Volume I is Wesley's manuscript journal from 1736 to 1741. Volume II is Wesley's manuscript journal from 1743 to 1756. "This complete and critical edition of Charles Wesley's journal meets a long-felt need for everyone interested in the history of the English Evangelical Revival. It is an invaluable resource." 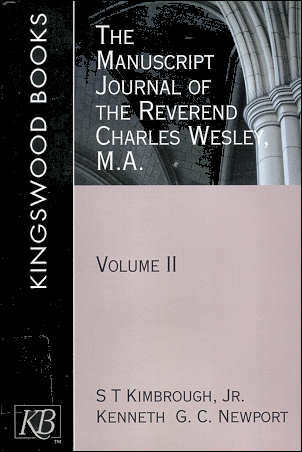 "The new Kingswood edition of Charles Wesley's journal, which will supersede all previously published editions, provides historians with a remarkable new resource for studying early Methodism and the Wesley family. By including previously unpublished shorthand passages and reproducing the text as it exists in manuscript form (rather than cleaning it up, as some previous editors did), the present editors provide a fuller and more accurate look at Charles Wesley's personal involvement in the events of the day. 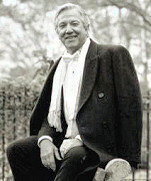 The new material reveals some of the attitudes and actions that Charles exhibited in some crucial circumstances, especially in his relationship with his brother John. This text will become a standard reference in the Wesleyan repertoire." S T Kimbrough, Jr. has written extensively on the life and work of Charles Wesley and has taught at Princeton Theological Seminary, New Brunswick Theological Seminary, IIlliricus Theological Faculty, lnsitut fur Religionswissenschaft of the Kaiser Wilhelm University, Wesley Theological Seminary, and the Theological School of Drew University. Kenneth G. C. Newport is Assistant Vice Chancellor (Research and Academic Development) and Professor of Christian Thought at Liverpool Hope University in Liverpool, England.